The national elections this May will be one presidential candidate less after the standard-bearer of Manila Mayor Joseph Estrada’s Pwersa ng Masang Pilipino party decided to quit. In a press conference on Monday, Romel Mendoza said he initially joined the presidential race as Estrada’s placeholder in case he decided to run again for the country’s top post, the Inquirer reported. “Mayor Estrada earlier declared his intention to run for president if Senator Grace Poe is disqualified from the race or if Vice President [Jejomar] Binay is jailed,” he said. “I filed my candidacy to pave the way for this option for our former President and also as a sign of support by Kampil [Kalipunan ng Masang Pilipino]” he added. But Mendoza who is also the secretary-general of Kampil said he found no more reason to be Estrada’s placeholder as it seemed he was set on his reelection bid as Manila’s mayor. “For this, I am informing my countrymen that I am withdrawing my candidacy for president and we will make this official with the COMELEC [Commission on Elections] so that my name will be removed from and not cause confusion in the official ballot for the 2016 elections,” he said. However, Mendoza announced immediately after that they were now endorsing Binay’s bid for the presidency. “We believe that he is competent and he has the professional track record to lead the Philippines,” he said. Mendoza’s move leaves six choices for president including Poe, Binay, Davao City Mayor Rodrigo Duterte, Liberal Party standard-bearer Mar Roxas II, Senator Miriam Defensor-Santiago and party-list Rep. Roy Señeres. The number of choices may further whittle down as Poe and Duterte are facing disqualification cases. 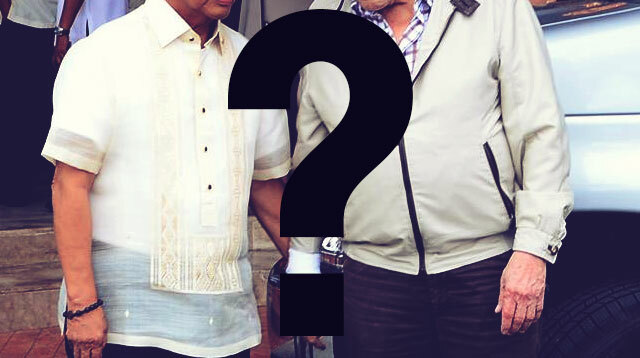 Binay for his part is battling corruption charges while Santiago has health issues.